Yoshi Fujikawa is a Berlin School faculty member teaching service innovation and value co-creation. 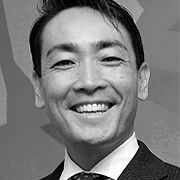 Yoshi Fujikawa is an Associate Professor and Faculty Director of MBA Program at Hitotsubashi University’s Graduate School of International Corporate Strategy (Hitotsubashi ICS). Prior to joining ICS as an Assistant Professor in 2003, he was a Lecturer and Research Assistant at Pennsylvania State University. He also worked as Research Associate at the Mind of Market Laboratory and the Division of Research, both at Harvard Business School. His business experience includes marketing research and strategic consulting work with Olson Zaltman Associates, the inventor of the patented research method ZMET (Zaltman Metaphor Elicitation Technique. Yoshi holds PhD in Marketing from Pennsylvania State University (University Park, PA), MBA from Harvard Business School (Boston, MA), MA (Commerce) and BA (Economics) from Hitotsubashi University (Tokyo, Japan).